The School of Divinity has recently been receiving praise for the MSc in Science and Religion programme. Visitors to the Given in Good Faith exhibition on the 6th floor of the Main Library in George Square can see how this excellence in the field of Science and Religion is also one of the key themes explored through the historic treasures of New College Library. From its foundation in 1843, the new Free Church of Scotland actively engaged in current learning and debate on scientific topics such as geology and astronomy, and Free Church ministry students at New College followed courses in natural science. This is one reason why New College Library’s Special Collections reflect this dialogue between religion and science. Noah’s Ark has been in the news lately with the recent block buster film Noah. Currently on display in the entrance to New College Library is a nineteenth-century imagining of Noah’s Ark, in a work by Edward Wells (1667–1727), a Church of England clergyman and educationist. 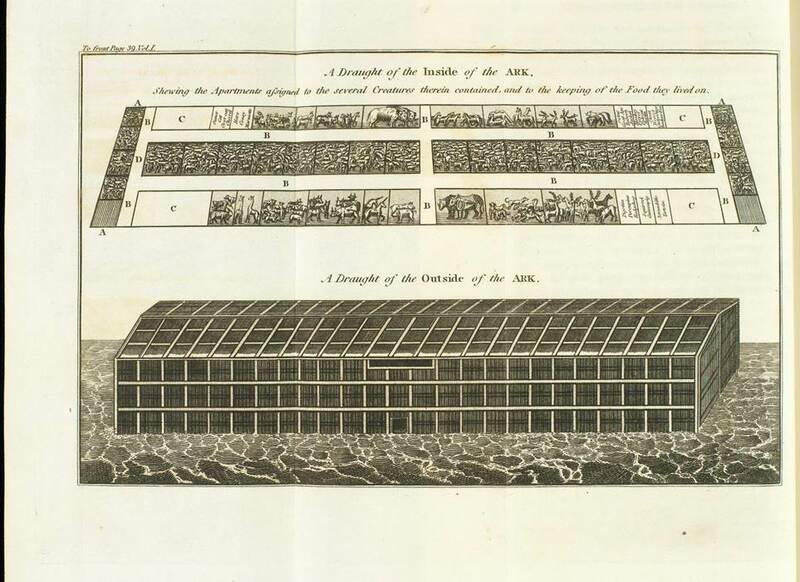 This image from An historical geography of the Old and New Testament (1809) shows a fold out engraved illustration of the ‘Inside of the Ark‘. Wells has attempted to provide a rational plan of how all the animals required could be fitted into Noah’s Ark. 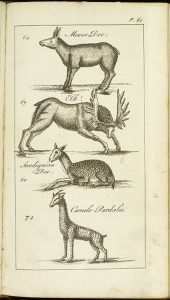 The text on adjoining pages details the precise numbers and nature of the species considered to be housed in each area.This book is part of the Natural History Collection at New College Library, numbering about 175 books. This dates from the early days of New College, where ‘Natural Science’ was taught until 1934. The collection includes examples of the mid-nineteenth century controversies over evolution and natural selection, with geology particularly well represented. The collection was catalogued online as part of the Funk Projects. New in this month – and already out on loan – is Augustine and science / [edited by] John Doody, Adam Goldstein, Kim Paffenroth. on the shelf at BR65.A9 Aug.
Also new is Creating life in the lab : how new discoveries in synthetic biology make a case for the Creator / by Fazale Rana, at BL255 Ran. These titles were purchased for the MSc in Science and Religion at the School of Divinity, University of Edinburgh. Innovative Learning week kicks off at New College Library with a chance to see some of the scientific books in New College Library’s Special Collections and find out where they came from and why they were collected at New College Library. Please drop in to look at the book display in the Funk Reading Room, Monday 18 February 11-12am and ask questions. Several of the items in this display are drawn from New College Library’s Natural History Collection, a Special Collection numbering about 175 books. This dates from the early days of New College, where ‘Natural Science’ was taught until 1934. The collection covers the mid-nineteenth century controversies over evolution and natural selection, with geology particularly well represented. There is a focus on Scottish natural history and on texts by Scots writers. Can’t come to the display? See the presentation slides on slideshare. New on the shelves this month is The lost world of Genesis One : ancient cosmology and the origins debate by John H. Walton. This title was purchased to support the new MSc in Science and Religion here at the School of Divinity, University of Edinburgh. 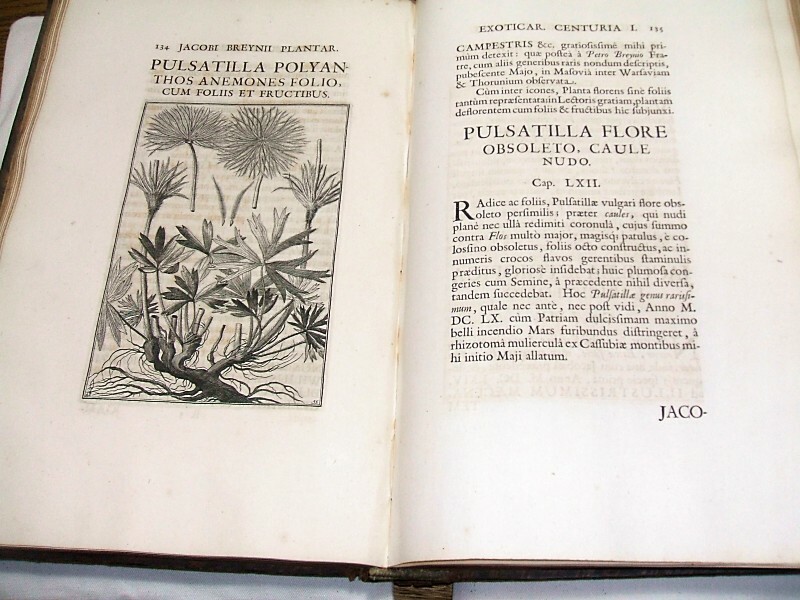 Exoticarum aliarumque minus cognitarium plantarum centuria prima by Jakob Breyne, 1678. New College Library Special Collections DPL 59. 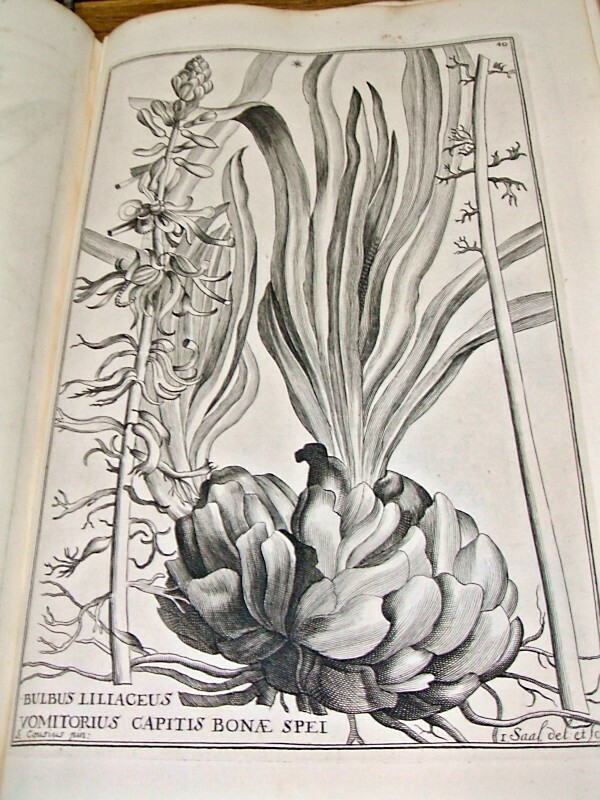 Recently catalogued online and now on display in New College Library’s entrance hall is this seventeeth century botanical work, Exoticarum aliarumque minus cognitarium plantarum centuria prima. Written by Jakob Breyne, it has full page plates drawn by Andreas Stech and engraved by Isaac Saal. This rare book is part of the Dumfries Presbytery Library, which is currently being catalogued as part of the Funk Cataloguing Projects at New College Library. With thanks to our rare books cataloguer Finlay West for sharing details of this item. Today’s Opening Lecture for the 2012-13 academic session at the School of Divinity will be given by Professor Wentzel van Huyssteen of Princeton Theological Seminary, and will launch the new MSc in Science and Religion. New College Edinburgh’s history of teaching Science and Religion goes back to the original Chair of Natural Science that was occupied at New College until 1934. The books in New College Library’s Natural History collection, now part of its Special Collections, reflect this academic past. 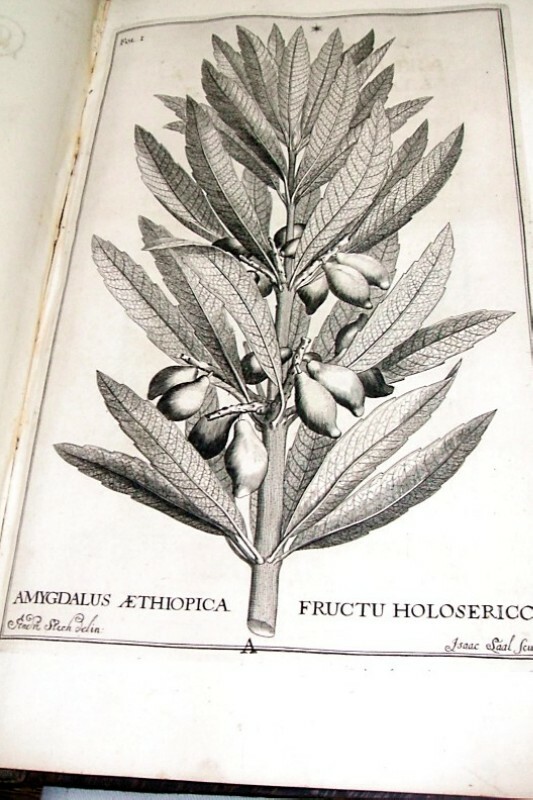 This volume, A new and accurate system of natural history, containing, 1. 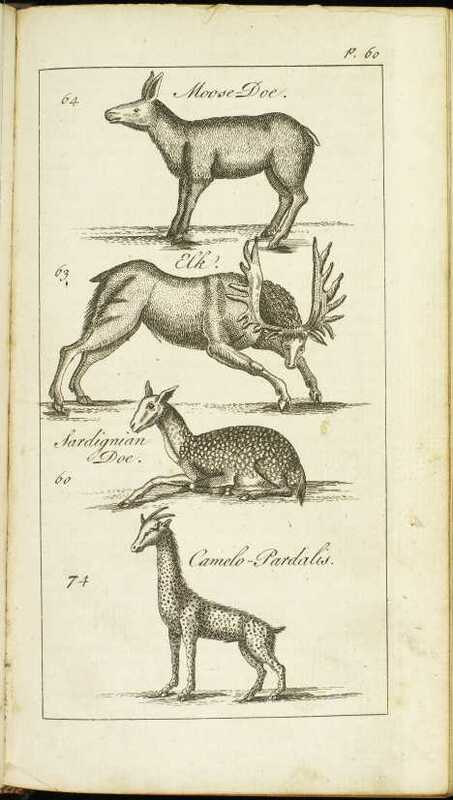 The history of quadrupeds … contains striking animal illustrations, and is part of a series covering the whole of the natural world. A bookplate and stamp marks the item as originating from the United Presbyterian Library. The 1900 Union of the Free Church and the United Presbyterian Church prompted the amalgamation of their library into New College Library, and many volumes in Special Collections bear these marks. The 31st of August is scheduled for a ‘blue moon’ over Scotland. A blue moon traditionally occurs whenever two full moons happen in a single month – an unusual occurence, hence the saying ‘Once in a blue moon’. Dedicated users of New College Library may have made their way down to the depths of Stack II at basement level, and discovered the sequence of older monographs known as the ‘unclassified sequence’. 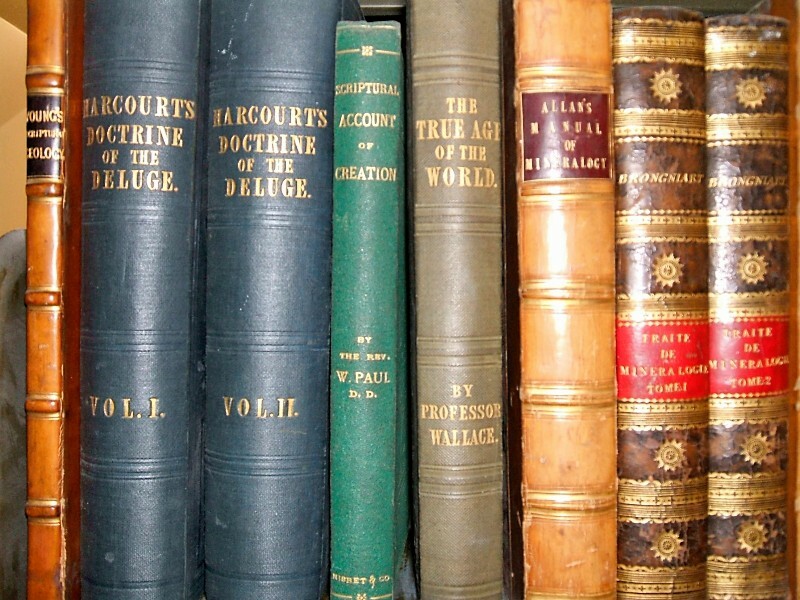 These books date from the pre-1930 existence of New College Library, and the variety of the content covers a much wider scope than the theological curriculum of the time. 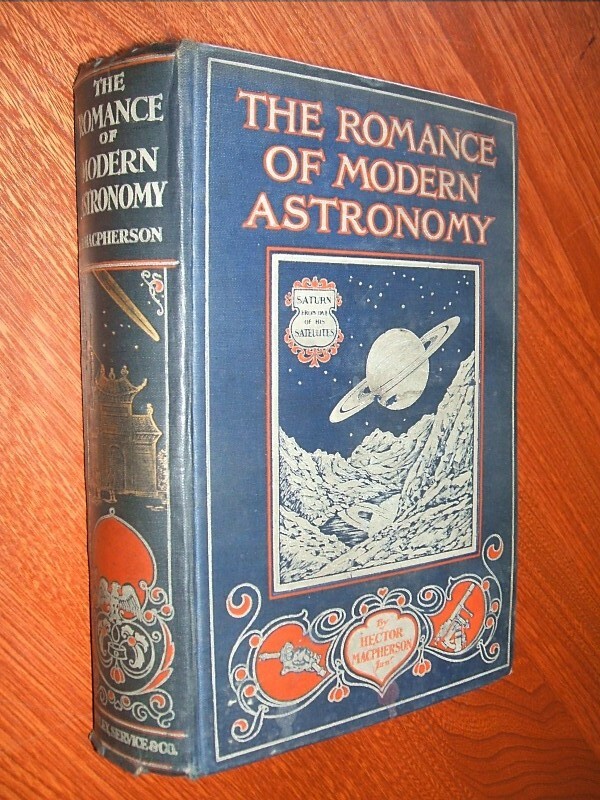 I was surprised to find this one : The Romance of Modern Astronomy (1911), by Hector MacPherson. 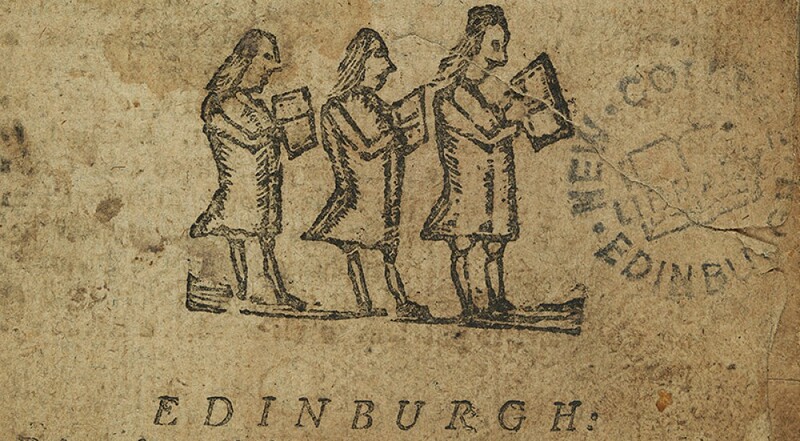 This collection is currently part of an online cataloguing project funded by the College of Humanities and Social Sciences, University of Edinburgh.